Both sexes either fully winged or with wings shorter than thorax width. Body, legs and antennae brown, fore tarsi and antennal segment III sometimes paler; fore wing weakly shaded. 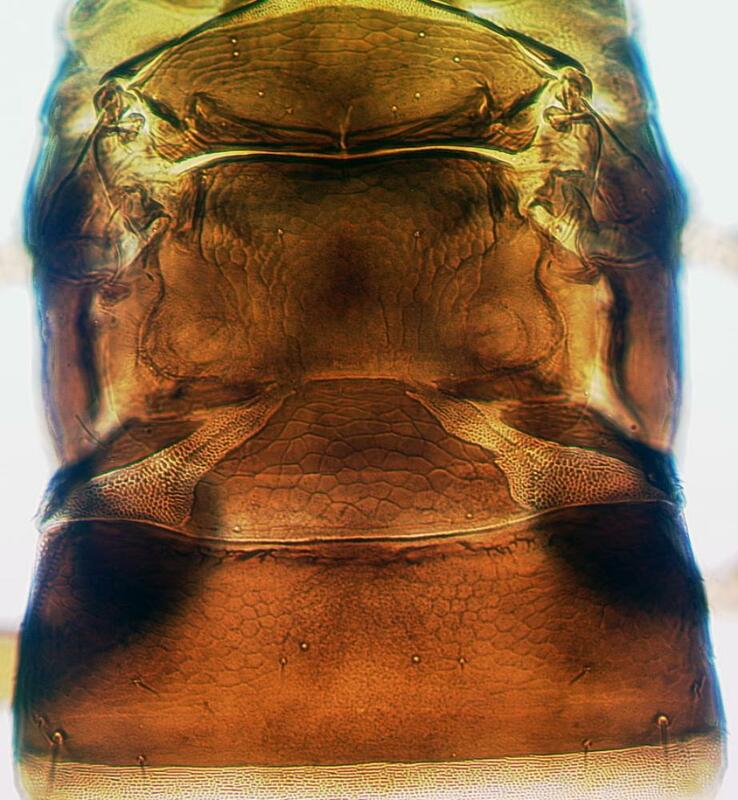 Head longer than wide, without sculpture dorsally; eyes much larger dorsally than ventrally; postocular setae wide apart, apices blunt; maxillary stylets retracted to postocular setae, one third of head width apart with slender maxillary bridge. Antennae 8-segmented; segments III–IV with apex truncate, 2 sensoria on III, 4 on IV; segment VIII slender. 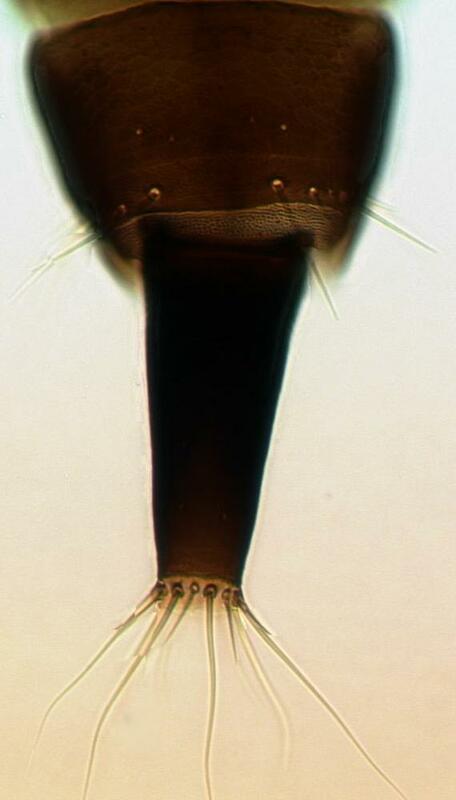 Pronotum with no sculpture medially; anteromarginal setae minute; remaining 4 pairs of major setae unstable in size and shape, long or very short; paired prosternal basantra present. Fore tarsus with small hooked tooth at inner apex. Metanotum reticulate. Fore wings parallel sided, without duplicated cilia. Pelta reticulate; tergites II & VII with wing retaining setae weak, sigmoid on III–VI; tergite IX setae S1 bluntly pointed, about as long as tube. 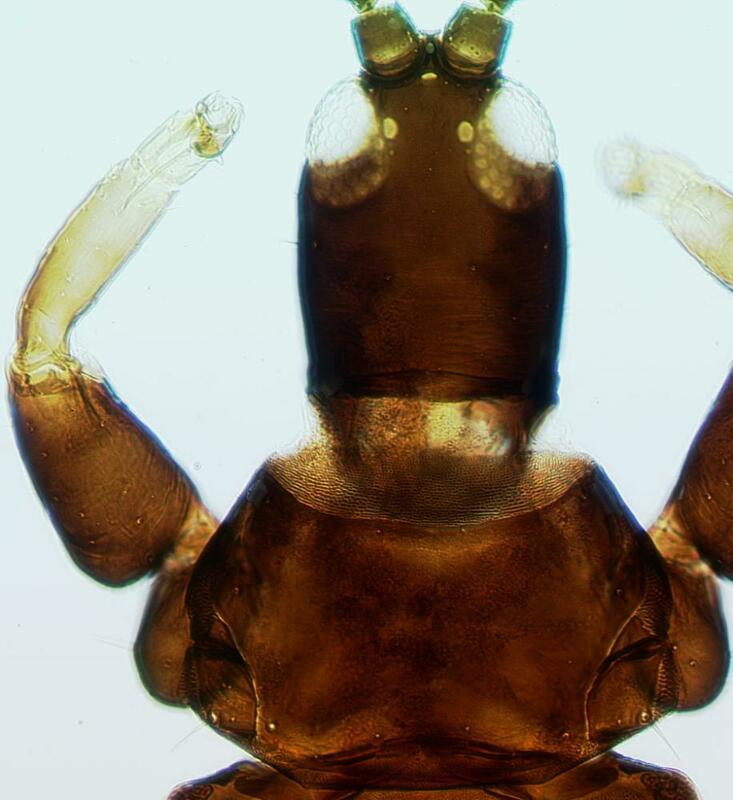 Male smaller, tergite IX setae S2 short and stout; sternite VIII with broadly transverse pore plate. The genus Amynothrips includes only one species. Although this has prosternal basantra as in Haplothrips and its relatives, the forewing is parallel sided not constricted medially. Useful biological control agent against its aquatic weed host (O'Neill, 1968). Introduced from South America to USA and Australia.